You are beautiful, and you are mindful about your health and wellness in so many areas of your life already, right? Like with working out and with what you eat? So, isn’t it time that you consider the importance of the ingredients in the products you use for your personal care and cosmetics too? That’s why I’m obsessed with Beautycounter; Beautycounter has the strictest standards of safety in the industry and it is a company for good that does good. Get your own Beautycounter products at beautycounter.com/trishblackwell. If you have been looking for a way to make an income and an impact at the same time, then you might have just found what you are looking for with Beautycounter. Message me and let’s chat about how I could personally mentor you to grow a Beautycounter business of your own. Inspired by a summer internship at a wish-granting organization, Jess saw a lot of kids loved to wear headbands after losing their hair to chemotherapy. She did a Google search and realized that there were no businesses donating headbands to kids with cancer, only wigs and hats. Jess started Headbands of Hope out of her dorm room in college with two headbands, her computer, and a burning passion to help these kids (and a lot of coffee). Today, Headbands of Hope is carried in thousands of stores across the world. They’ve been featured on the TODAY Show, Good Morning America, Vanity Fair, Seventeen Magazine, and even supported by celebrities like Lea Michele, Lauren Conrad, Kelsea Ballerini, Lili Reinhart and more. But more importantly, Headbands of Hope has donated headbands to every children’s hospital in America and 15 countries. When you order a headband, you’ll even receive a donation confirmation stating the exact hospital your purchase benefitted. LINKS YOU WANNA KNOW ABOUT! 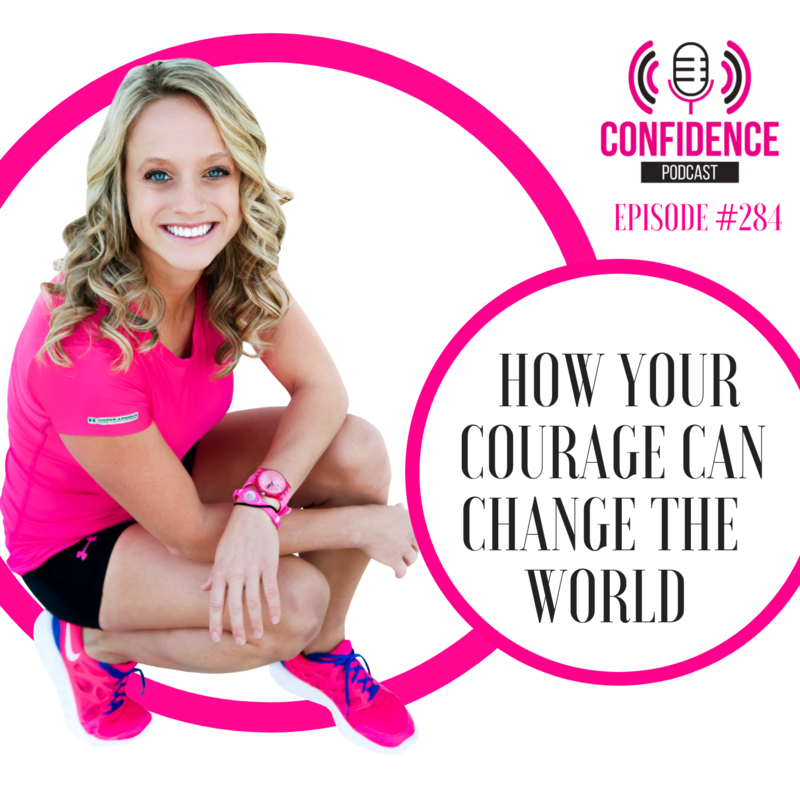 Have you always thought of yourself as confident or courageous? At what point in your Headbands of Hope journey did you realize that it was growing into something mega big that was going to change lives – like, lots of lives? What does daily courage look like for you as you grow your businesses? Do you ever get overwhelmed with the number of people you want to help and then feel helpless? If so, what do you do to get out of that funk and to take action anyway? Have you ever struggled with imposter syndrome or wanting to throw the towel in because the task at hand / the vision you had felt too big and you felt too small? How did you launch your speaking career and the Drop the Mic side of what you do? Public speaking takes a ton of courage – and opens doors and changes lives – what advice do you have for listeners who crave courage in this area but are scared to death? When you are discouraged, feeling less than, or overwhelmed, how do you motivate yourself? We are closing the doors to The College of Confidence this month … and they won’t reopen until 2019, so if you know that you want more support, more Trish, more growth in your life, then stop what you are doing and come join us today. It takes just two minutes to register and it’s cancel-at-any-time, so hop on over to www.trishblackwell.com/college and let’s leverage your confidence and courage into crazy dream chasing together! Have been enjoying the podcast Trish! The one episode where you shared your story of the trauma you faced and how you overcame it almost made me cry. It really put the challenges I’m facing in perspective and gave me a much needed boost. You are an inspiration, keep up the good work! No need to reply to this email, just sending some one-way encouragement. HOW TO LEARN WHO YOU ARE.